It appears an attempt by Buruji Kashamu, a close associate of President Goodluck Jonathan, to stop the publication of a three-volume book by former President Obasanjo didn't sail through as SaharaReporters reports that the book has gone into circulation. According to SaharaReporters, copies of the former president’s exhaustive autobiography were already available to buyers in print form. They further reported that the book would soon be available in an electronic version that is beyond the jurisdiction of Nigerian courts. 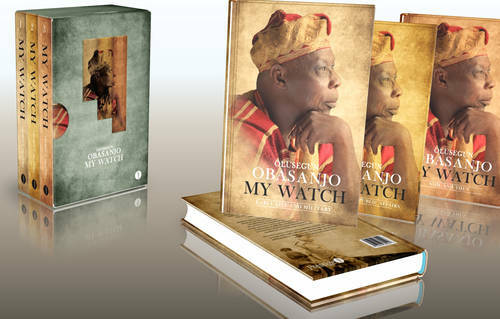 The book, whose three volumes chronicle the life of the controversial former president from birth till this year, aroused political interest after SaharaReporters exclusively reported that Mr. Obasanjo devotes significant pages to paint an unflattering portrait of President Jonathan. We reported that the book characterizes Mr. Jonathan as selfish, weak-willed, callous and incapable of rising to the challenges of running a complex country like Nigeria. Mr. Obasanjo also accuses the president of surrounding himself with aides and political associates with corrupt tendencies. Mr. Obasanjo’s book dedicates several parts in the book to point out some of Mr. Jonathan’s actions and inactions he considers ill-advised or disastrous for Nigeria. He depicts Mr. Jonathan as a man who has not only destroyed the Peoples Democratic Party but also led Nigeria in dire straights. The book focuses on several instances of policy somersaults by Mr. Jonathan as well as deliberate actions by the incumbent president that have imperiled Nigeria’s progress in the opinion of Mr. Obasanjo.